Physics can be funny like that sometimes. This has largely ceased to happen anymore. Repair procedures for modern cars are very strict and any insurance payout takes that into account. Its simply not possible to fix many modern cars the way they were fixed in the past. Things like frame rails can only be minimally aligned before they need to be completely replaced. Aluminum parts must be replaced and cant be bend back unless they are none structural. Additionally even basic parts are often thousands of dollars. Things like LED headlights are often $1500 or more. This means that even for expensive new cars they end up totaled. 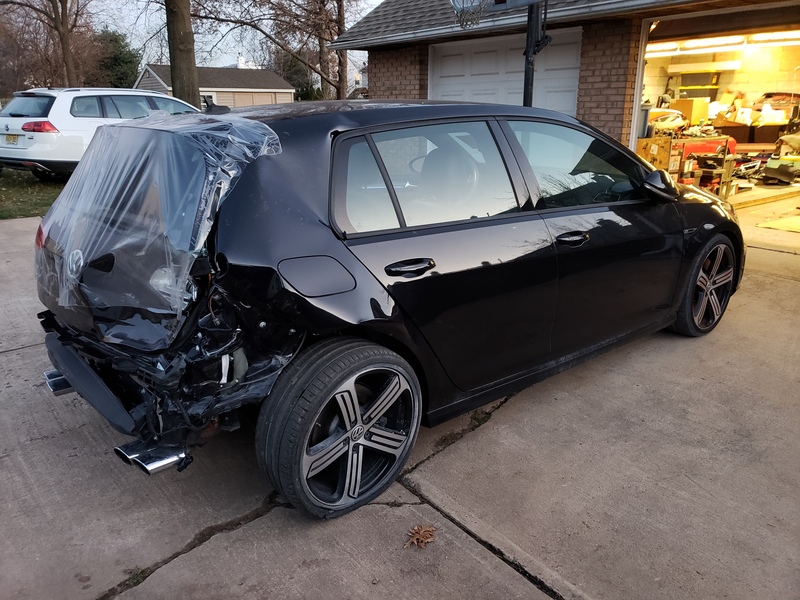 I ran into an issue recently where the insurance company would only pay a certain amount for certain parts, therefore you were stuck with aftermarket parts until the body shop jumped in to help, contacted the local VW dealer who price matched OEM parts to the aftermarket prices. Estimates also depend highly on the shop's hourly rate and such, could differ highly from one shop to another. 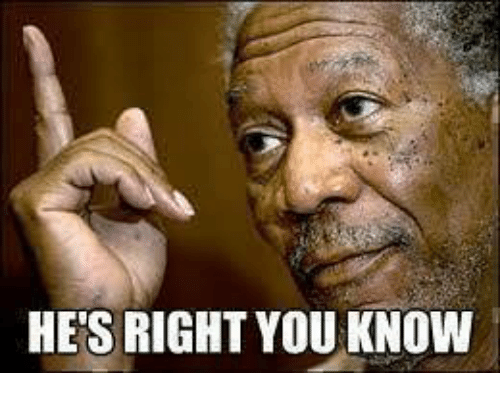 Standard issue advice is if you want it totalled take it to your local exotic car body shop, and get a outrageous quote. Also remember that what they tell you is not written in stone. The adjuster does have some leeway, but you often have to wring it out of them. Who's insurance is paying for this OP? Bet it's going to be a **** show if you're trying to get the crack head motorcyclist to pay for it. This is why I always make sure I'm covered under "Uninsured Crackhead" coverage. I don't think anyone disagrees with this, but I don't believe that this impact rises to the severity that bonded aluminum structural pieces are compromised. It's some quarter panel skin damage and a wheel shoved. As long as the control arm mounts are intact or can be fixed the rest is cake. The door actually looks ok - no dent. Just needs some paint. But the quarter panel will need to be repaired. Feels like the sheet metal is quite a bit thinner on the mk7 than the mk6. Not at all, thats why I said earlier I bet it will be about 8k, and they will repair rather than replace the quarter panel. Have you confirmed he has insurance? I hope so. Gotcha. I hadn't looked back to see that was you. Im 90% sure they will fix the quarter because its not structural, and the damage is only slightly more than what a PDR guy could handle. It makes no sense to remove and section the quarter panel when it can be pulled, and filled easily. If the damage caught the quarter panel edge by the bumper and tailight they would almost certainly replace it. I wasn't saying that they would replace it, I was just pointing out some fairly recent* changes in manufacturing. *Over the last decade or so. Last edited by 20vTa4; 04-09-2019 at 10:19 PM. Are you going to make a golf out of the donor R? Click his username and look for the thread. It’s nuts. I just checked his thread. You're incorrect. 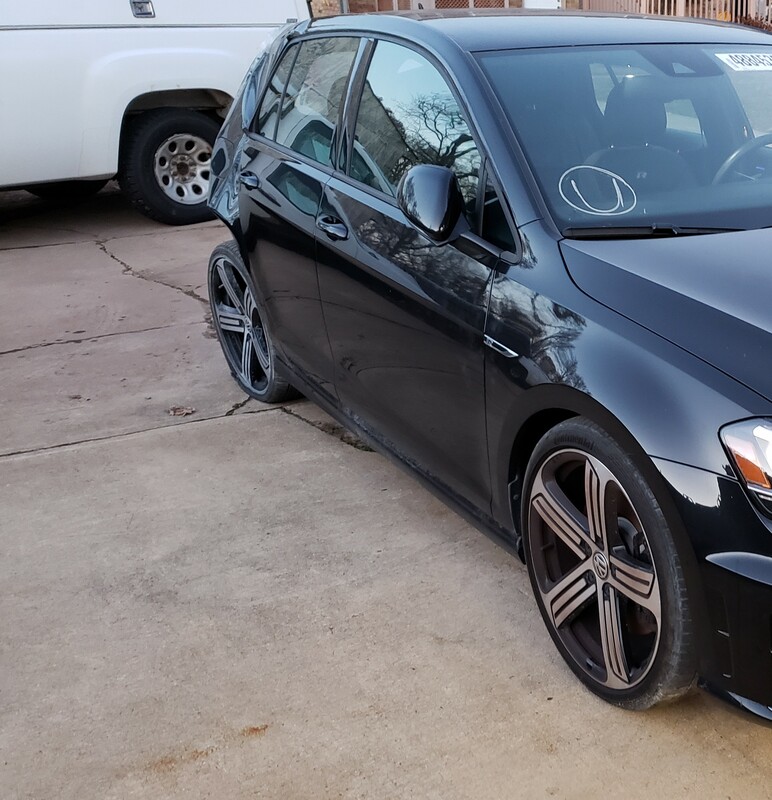 It's actually a Golf R Variant he's built. However, now that the Jetta is on MQB I'm wondering how/if that would work? Worth checking into for anyone in an accident in a new car, it isn't all states but a few do have this. That's not how MQB works, not getting off topic with this.. but MQB doesn't dictate anything related to making that swap possible.